Meet your course instructors. Each one is a volunteers of the Orange County SCORE and have rich and varied business backgrounds. Counselors share their business expertise and knowledge in all aspects of small business. 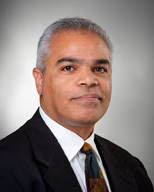 Edison R. Guzman is President and CEO of A&E Advertising. 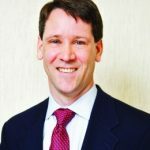 He sits on the board of the Greater Hudson Valley Health System and is Vice President of the Greater Monroe Chamber of Commerce. As a speaker, he hosts private workshops as well as co-sponsored workshops for businesses locally and throughout the United States. As a volunteer of the Orange County Chapter of SCORE, he advises individuals on how to start a business, and advises existing business owners on how to grow their business. Edison has been an entrepreneur since 1991, and understands the survival skills a business organization must posses in order to thrive and surpass the competition. Plans and Profits is owned by Charlene Finerty, long-time entrepreneur and mainstay of the Southern New York business community. A graduate of Albany Business College, her career began with a Fortune 500, The Arrow Shirt Company, preparing budgets, actual-to-budget comparisons, and detailed cost-per-dozen studies in distribution and transportation. She was Office Manager and Corporate Officer for Tri-State Business Equipment, Inc. In her eight years there, the company prospered across New York State, growing from one office to five, 7 to 85 employees, and from one-half million in yearly sales to over $10,000,000.00. 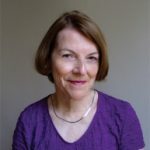 Then, when her family moved to Ohio, she simultaneously started an office-services firm and an imprinted clothing outlet, while also working as a Small Business Development Center counselor, where she advised clients on business operations and finance, and wrote, edited and guided clients through their business plans. She later extended her financial planning and analysis credentials by working with a local Certified Public Accountant’s office, while living in Pennsylvania. A native of Sullivan County and a 17-year resident of Orange County, Charlene is, many times over, a successful entrepreneur and adviser to successful entrepreneurs. Plans & Profits is a member of the Orange County and the Sullivan County Chambers of Commerce. Charlene is an instructor for NY EAP and presents at SCORE workshops, the Sullivan County Community College Entrepreneurial Conference and at lender-events. Charlene is also the creator of BusinessPlanWritingClass.com, a home study video course you can use to create a business plan. Michael has been a Business Banker for about 15 years. He worked for Chase Bank in New York City and Bank of America in Bergen County, New Jersey and TDBank, in NY. The majority of that time was with Chase Bank. 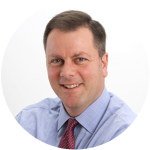 Mike is currently an Assistant Vice President that is the Small Business Lender/ Business Banker for Riverside Bank in the Hudson Valley (covering Orange, Dutchess, Putnam, Sullivan and Ulster counties) New York. Mike is an active member of the Greater Southern Dutchess Chamber, Orange County Chamber, The HUB (Young Professionals of the Hudson Valley) and The Young Professionals of the Orange County Chamber. He also sits on the board for the Greater Southern Dutchess Chamber and volunteers with SCORE in Orange County. Mike also resides on the membership committee for The HUB and events committee for the young professionals of the Orange County chamber. He was recently VP within the Hudson Valley Renegades organization. Expertise: Property, Casualty, Life, Health and Disability Insurance BrokerGreg Hogan, CIC, CLU, RHU, is a licensed Property, Casualty, Life, Health and Disability Broker in NY State. Since 1990, he has made serving clients his life’s work. He began his insurance career working for a large national insurance company where he gained seven years experience as an agent writing life and health insurance. 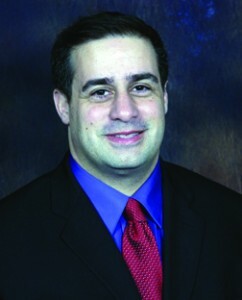 In 1997 Greg joined the Hutchings Agency as a business insurance producer. He quickly learned that he enjoyed working with business owners and finding solutions to their insurance problems. In 2016, he purchased the Curraba Insurance Agency.Greg’s desire to better serve his clients is demonstrated by his commitment to advancing his knowledge while attaining and maintaining specialized insurance designations. The first of these, obtained in 2000, was Chartered Life Underwriter, CLU®, the industry’s most respected designation for life insurance expertise. In 2007, he obtained the status of Registered Health Underwriter, RHU®, a well-regarded health insurance specialty designation. 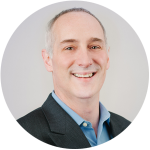 In 2008, Greg finished a yearlong pursuit to become a Certified Insurance Counselor, CIC, a designation that demonstrates expertise in business insurance and agency operations. To maintain these designations requires 20 hours of continuing education each year. John is a CPA and tax manager at GKG. GKG provides total financial services to individuals, large and small businesses and not-for-profit organizations. Considered one of the leading accounting firms in the New York, New Jersey and Connecticut tri-state area, GKG consistently provides outstanding service to our clients because of our dedication to three underlying principles—professionalism, responsiveness and quality. Mr. Egeland has created quantifiable results in multiple positions during his twenty+ year career including strategic consulting for multiple industries. He has personally created ten successful start-ups, half reaching eight figure annual revenues, and has consulted on or assisted in hundreds of projects, improvements, start ups, funding, plans, assessments, turnarounds, reorganizations, and closures for all size companies, sole proprietors to publicly traded. A published author, article contributor, teacher, speaker, and holder of the prestigious CPCU designation; Eric’s style revolves around collaboration, mentor ship, honesty, accountability, and a true interest in finding and solving problems to make things more efficient, effective, and profitable. 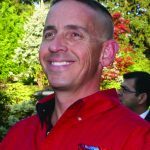 In 2007, Peter F. Artusa retired after a 22 year career as a local Police Officer and started A Sparkling View, LLC., Orange Counties Premier Window Cleaning Company. After experiencing steady growth through providing outstanding customer service, he purchased All County Window Cleaning in 2013. All county Window Cleaning has been running since 2000 and employs over 30 people. 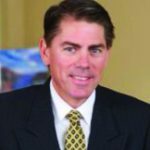 A Strategic Franchise Advisor with FranNet in New York’s Hudson Valley, New Jersey, and Western MA, Frank Dunne is a seasoned business professional who consults with individuals interested in exploring franchise opportunities. Entrepreneurs, those in career transition, and investors benefit from his 25 years’ insight and experience gained from the services sector in professional services, new media, marketing, and advertising. In addition to free, one-on-one client consultations, Frank regularly conducts franchising workshops and seminars – partnering with outplacement agencies, the Small Business Administration, Small Business Development Centers, SCORE, local libraries, and more. Frank possesses a Masters of Business Administration from the Katz Graduate School of Business at the University of Pittsburgh, and a Bachelor of Arts from Villanova University. So whether you have been looking into starting a small business or just need to find the right franchised business for sale you might find we have the best franchise opportunity for you. With no cost to you consulting service Western MA, including North Adams, Pittsfield, Greenfield and Springfield as well as serving New York’s Hudson Valley and New Jersey you have nothing to lose and so much to gain.